My little niece Ava turned one so I made her a birthday cake. I wanted to have a crack at decorating the cake in the ‘Petal’ style. It looks complicated but is actually pretty easy, just pipe a row of dots, then spread with a knife or a spatula. You do get a bit of RSI along the way though! The cake is Annabel Langbein’s Ultimate Chocolate Cake recipe, sooooo easy and so good, a real ‘go to’ for birthday cakes in my opinion! 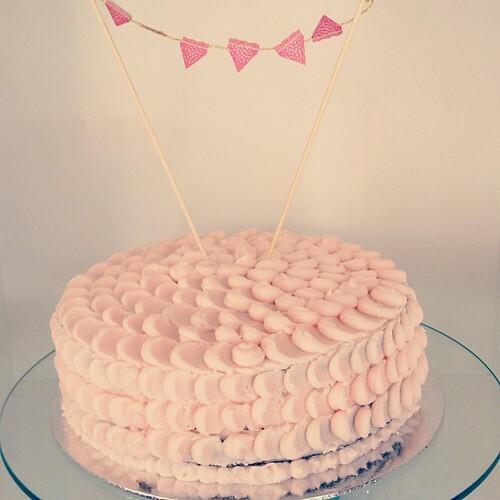 I iced it using a buttercream flavoured with raspberry essence, and using a teeny amount of Wilton peach gel colouring. Heat oven to 160°C. 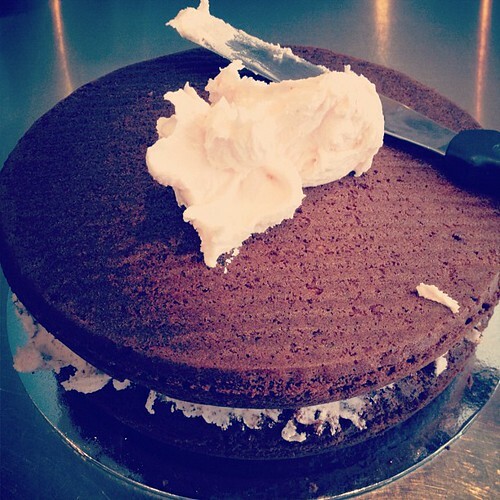 Grease the sides and line the base of a 30cm round cake tin or 2 x 20cm round cake tins with baking paper. Place all ingredients in a bowl or food processor and mix or blitz until the ingredients are combined and the butter is fully incorporated. Pour mixture into prepared tin or tins and smooth top. Bake for 1 hour or until a skewer inserted into the centre comes out clean. Allow to cool in the tin. If not using at once, the cake will keep for about a week in a sealed container in the fridge. You can also freeze it uniced. Fill and crumb coat your cake, then stick it in the fridge for at least half an hour to set. 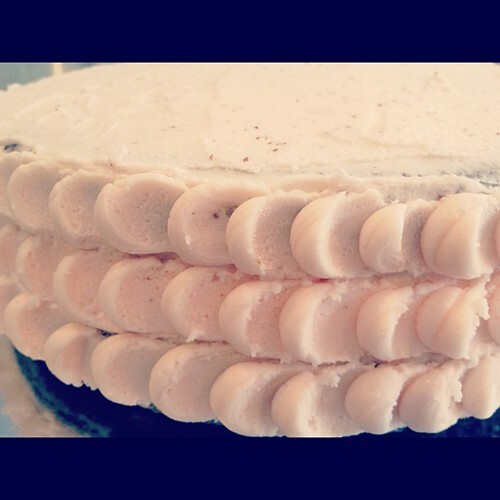 I followed the Petal Cake tutorial on the Hungry Housewife blog. I finished the cake off with a pretty bunting. The birthday girl seemed to enjoy it!